Washington Valley Park consists of approximately 719 acres that lie along the First Watchung Ridge in Bridgewater Township. The park contains the former Bound Brook Elizabethtown Reservoir that will become the focal point of the park along a network of trails. 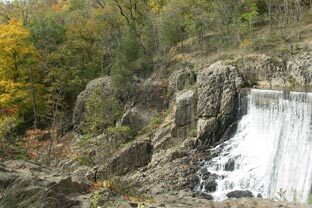 The park is located between the first and second Watchung Mountains at the geographic center of Somerset County. It consists of Pine and Hemlock forests, open freshwater wetland marshes, impressive rock outcroppings, numerous historic features and a 21-acre reservoir. Washington Valley Park offers several recreational opportunities in an undisturbed natural setting, including hiking, mountain biking, and hawk watching. The more than seven miles of trails are great for hiking, and some of the best mountain biking in the state. 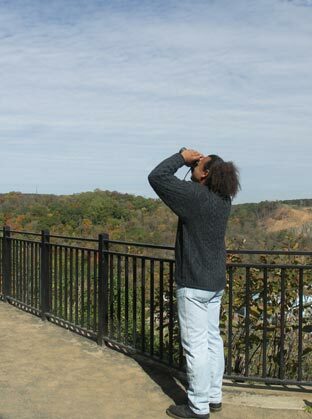 Washington Valley Park’s Hawk Watch area is one of the East Coast’s premier locations to watch thousands of raptors migrate south every autumn. And, if fishing is what you like, the reservoir is where you need to be. This body of water offers a multitude of fishing opportunities. Whether you are a person seeking solitude, or someone who is bringing their family for a day of fun, Washington Valley Park has something for the outdoors person in all of us. The park can be accessed from Vosseller Avenue at Millers Lane, and also at Newmans Lane. E-mail the Park Rangers Dept. with any questions or comments. Autumn, in the natural world, is a season of noticeable change. Trees offer a multitude of leaf colors from yellow to crimson red after a season of shades of green. Animals, like deer and foxes, begin to grow a thick layer of fur preparing themselves for the cold winter ahead, and birds migrate south to a warmer climate where there is an abundance of food and a lack of below-freezing temperatures. All of these can be seen in any of the Somerset County Park Commission's parks, especially the migrating birds. From August through November, the Washington Valley Park Hawk Watch Area is host to several hundred hawkwatchers from all over the northeastern United States. They come to witness the thousands of hawks, falcons, and eagles flying overhead, sometimes just over the treetops. 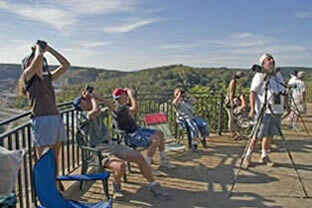 Armed with binoculars, spotting scopes and cameras, the hawkwatchers wait patiently while keeping an eye in the sky. They wait to both count and identify the onslaught of raptors making their journey south to far away places in Central and South America. Endangered and threatened birds like Ospreys, Peregrine Falcons, and Bald Eagles are some of the most noteworthy of the birds soaring above the area, especially when weather conditions are just right. After a cold front moves through the area and the winds shift from the northwest, the stage is set for a day of effortless flight. When the condition occurs in mid-September while the Broad-winged Hawk migration is at its peak, more than 10,000 raptors can be seen in a single day. Of course, this is the time dozens of hawkwatcheers stand side-by-side, "armed" and ready, calling out numbers and identifying birds almost non-stop. On September 15 and 22 from 10am-2pm, staff from the Somerset County Park Commission will conduct a Hawk Watch Open House. The Open House will help novices identify the high-soaring birds. The Washington Valley Park Hawk Watch Area can be reached by traveling Route 22 to the Vosseller Avenue exit in Bridgewater. Drive up the hill (north) and make a left onto Miller Lane. Continue down Miller Lane, the road will bring you into the parking lot. Walk through the gate and down a short trail to the actual overlook area where the skies are visible. If you have any further questions about the Washington Valley Park Hawk Watch Area, please call the Somerset County Park Commission Rangers at 908 722-1200 ext. 5121 or the Naturalists at 908 722-1200 ext. 5323. 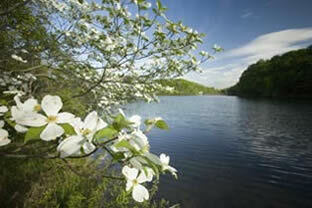 Washington Valley Park Reservoir is a 21-acre impoundment located in Bridgewater Township. The impoundment lies within the Lower-Raritan River drainage, and was created in the 1920’s by the damming of the West Branch of Middle Brook for water supply to the Bound Brook area. Four small, unnamed tributaries also feed the impoundment. Located at the east end of the reservoir, near the dam, the maximum depth of this body of water is 22 feet. Access to the reservoir can be gained by parking in the Newman’s Lane parking lot. (see direction below) The reservoir does not have a boat ramp. 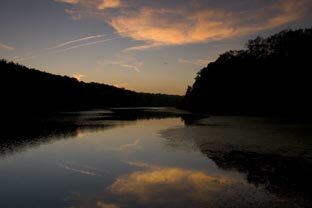 There are, however, extensive trails around the perimeter of the reservoir for shoreline fishing. Follow Route 22 to Chimney Rock/Thompson Roads exit in Bridgewater. Traveling eastbound, you will need to make the u-turn and cross back over Route 22. Traveling westbound, just make a right onto Thompson Road. At the end of Thompson bear right onto Chimney Rock Road. Drive approximately 1.5 miles until the road ends. Turn left onto Washington Valley Road. Travel about 1/2 mile and make left onto Newmans Lane. Travel on Newmans Lane until you cross over a small bridge. There will then be a paved parking lot on the left side. The park is immediately on the left. Please do not park on Mitchell Lane off Chimney Rock Road. This is a private residential street. The reservoir, with its steeply sloped banks, offers the angler several species of fish including Largemouth Bass, Black Crappie, Bluegill, Pumpkinseed, and Yellow Perch. All that is needed is a New Jersey fishing license, which can be purchased at a nearby sporting goods store.